Suresite® 123 Transparent Film dressing with an easy-to-apply system is ideal for IV sites or wound care. 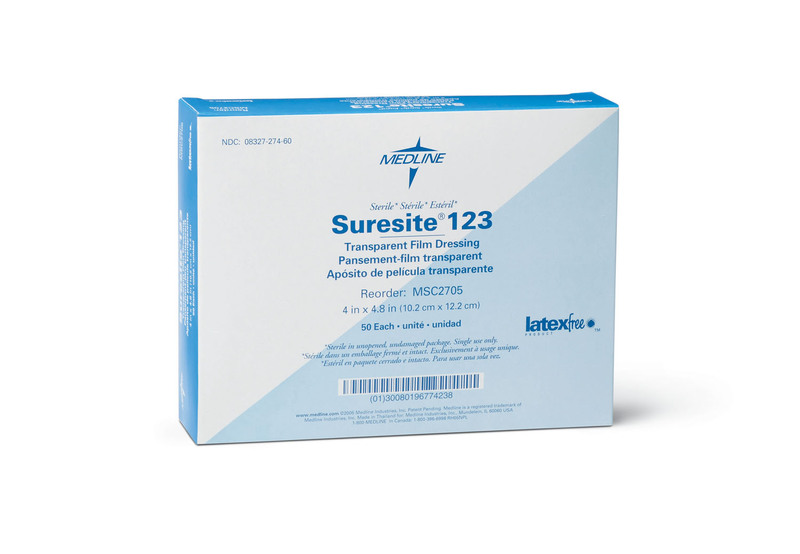 Suresite® 123 Transparent Film is indicated for use on IV sites or for wound care applications. 1.52"x1.52", 2.4"x2.8", 4"x4.8", 4"x10", 6"x8", 8"x12". Suresite may be left in place for up to seven days. Dressing change frequency will depend on amount of drainage.